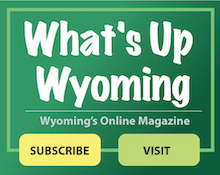 The Wyoming Police Department is open to groups or organizations who would like a tour of the Police Department. Arrangements can be scheduled by contacting Officer Sean Feldhaus, Community Resource Officer, at 513.821.0141 or via email. A station tour provides a behind the scenes look at the City of Wyoming’s Police Department. A Police Officer will give you a tour of the squad room, jail processing facility, patrol vehicles, and other equipment used by the Police Officers. You may also use the Station Tour Request form that can be submitted to us on-line.